Chargebacks begin when a customer files a dispute with their bank regarding a credit or debit card transaction. Merchants are often left out of the dispute proces. Customers aren’t informing the merchant of disputes at an increasing rate. And in 58% of instances, the merchant is never notified, making them defenseless against the chargeback. 2.2 How do Chargebacks Work? Any time a customer calls up his credit card company and complains about a charge, retailers, their credit card processors, and their sponsors pay. The cold, hard numbers speak for themselves. U.S. merchants that accept credit and debit card payments via in-store, e-commerce, mail order, or telephone phone purchases lost 1.32% of revenue to fraud, according to the Lexis Nexis Risk Solutions True Cost of Fraud Study released in 2015. Not only was this the first year that merchants that did not handle any face-to-face transactions saw losses of more than 1%, but this was a 94% increase from the previous 12 months. The study also showed that large e-commerce businesses spend more than $115,000 annually for fraud protection and still lose 1.39% of revenues to fraud. These figures to account for the losses of merchandise and acquisition costs. This reinforces the idea that fraud is rampant but that merchants that want to succeed must have solid chargeback protection solutions in place. Merchants that fail to take chargeback protection seriously will succumb to cost increases, revenue losses, and business reputations that possibly can’t be saved. Any merchant that handles credit card transactions are faced with chargebacks. A chargeback is when a credit card brand, such as MasterCard, demands a merchant pay for any disputed or fraudulent transactions. Chargebacks are triggered when a customer reverses an order due to a legitimate complaint, such as not receiving an item as it was marketed, or because they changed their minds about purchases. No matter what the reasons, excessive chargebacks are bad for business. Once upon a time, chargebacks were set up to protect patrons from unscrupulous merchants. Instead of arguing about unauthorized charges, consumers could not initiate a chargeback and move on without further hassles. Unfortunately, this has led to customers abusing this practice, initiating chargebacks whenever they feel like it. When merchants rack up excessive chargebacks, it not only cuts into their bottom lines, it puts their merchant accounts in jeopardy. High-risk merchants especially must be mindful of chargebacks. Businesses that can’t keep chargeback ratios below 2% can have their accounts terminated by processors. Businesses must have merchant accounts if they want to continue accepting credit and debit card payments. Merchants, specifically those that operate mostly online and rely on credit card payments, must do whatever they can to protect their accounts. Taking chargeback protection measures, such as implementing a mitigation system, is necessary to keep businesses fully operational. Businesses that want to safely and securely accept electronic payments should turn to a credit card processor, like eMerchantBroker.com (EMB). Since eMerchantBroker.com specializes in high-risk merchant accounts, it tailors payment processing solutions to meet every merchant’s needs while helping them with practical advice concerning chargeback protection. EMB specializes in providing merchant account services for old and new businesses of all sizes, including high-risk merchants. Fill out EMB’s online application today and get approved for a merchant account within 24 and 48 hours. In addition, EMB also offers chargeback protection tools, PCI-compliant payment gateways, and fraud filters. Any business that takes a credit or debit card can end up with a chargeback. However, there are some businesses, many of which are deemed high-risk by traditional financial institutions, that are more prone to excessive chargebacks. Though it is easy for consumers to initiate a chargeback, when they do so, they must provide a reason to credit card companies. Chargebacks can only be processes when they are given one of four reason codes. Expired card authorizations, insufficient funds, or bank processing errors fall under the technical code. Duplicate billing, inaccurate charges, or a failure to issue a promised refund are considered clerical chargebacks. Quality chargebacks are when a customer received defective items, merchandise was received later than promised, or never at all. Finally, fraud is when a purchase was made with a stolen credit card or there was identity theft. The most common reason for a chargeback is fraud or friendly fraud, which is when customers claim items weren’t received or damaged but they really want to get away without paying. In a majority of the cases, credit card companies side with customers and the charges are removed from their accounts regardless of the situations. A merchant’s chargeback ratio is calculated by the number of chargebacks divided by its number of monthly transactions. For example, a merchant with 100 transactions and four chargebacks in a month would have a 4% chargeback ratio. The actual dollar amount of a chargeback doesn’t matter to credit card companies or processors. When merchants have excessive chargeback ratios, credit card processors may be subject to thousands of dollars in fees for each merchant account. Whenever a business exceeds a 2% chargeback ratio, credit card companies, such as MasterCard and Visa, can fine the processor that provided the merchant account. This not only cuts into the profits of credit processors but it puts their relationships with sponsor banks in jeopardy. Credit card processors terminate high-risk merchant accounts with chargeback ratios of more than 3%. If a merchant has 200 transactions and eight chargebacks in a month, the business has a 4% chargeback. With such small margins for error, merchants must not only try to keep their transactions volumes high they need to do whatever they can to avoid chargebacks. Chargebacks begin when a customer files a dispute with their bank regarding a credit or debit card transaction. The problem arises when the merchant is left out of the dispute process or is informed too late. Customers are not informing the merchant of the dispute at an increasing rate. And in 58% of all instances, the merchant is never notified of the pending dispute, making them helpless and unable to defend themselves against the initial chargeback. A chargeback threshold is either the percentage in dollars or the number of sales that may be paid by customers before a merchant account becomes in danger of being terminated. The threshold is typically about 1% for low-risk merchant accounts. The percentage climbs to 1% for U.S. high-risk merchant accounts and to between 3 and 10% for those based offshores. Since sponsor banks set the thresholds, they are different for each merchant account. With so much to lose, merchants need to be vigilant about preventing chargebacks. Evidence is a key to chargeback protection. Documentation of a transaction is one of the best ways to make it more difficult for customers to dispute a charge. 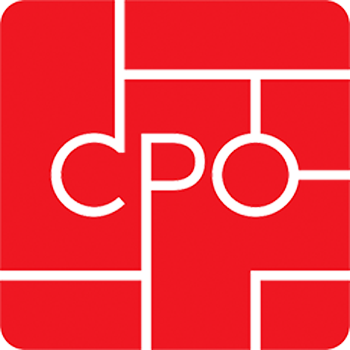 Having copies of printed or emailed receipts can help prove customers authorized charges. Initially, customers may get their money refunded via a chargeback, but it can be reversed if a merchant can prove to credit card companies during the investigation period that a disputed purchase was processed properly. Also, it is important to ensure the number on the computer screen matches the one on the credit card during checkout. Some chargebacks are initiated because customers fail to remember or recognize transactions when they review their credit card statements. Sending an electronic receipt with the merchant’s contact information, such as an email and billing support phone number, also helps customers remember. Customer service is probably the number one way to afford chargeback protection to merchants. Customers who feel they received a positive resolution and extraordinary customer service are less likely to request refunds or dispute charges. When a refund is requested, a savvy, professional customer service representative can skillfully diffuse a situation and save a business a costly chargeback. Having 24-hour customer service support is a real benefit. If a customer can live chat with a representative, the employee could offer a full refund or come up with another solution that prevents the person from disputing a charge. The best approach to chargebacks may be to have a strategy that focuses on gathering evidence of transactions, as well as stellar customer service. When people make purchases, make sure there are clear messages on websites that note security measures are taken to protect merchants and customers. Since processors can terminate merchant accounts that don’t maintain chargeback ratios below 2%, businesses are hurting themselves if they don’t work to prevent chargebacks. 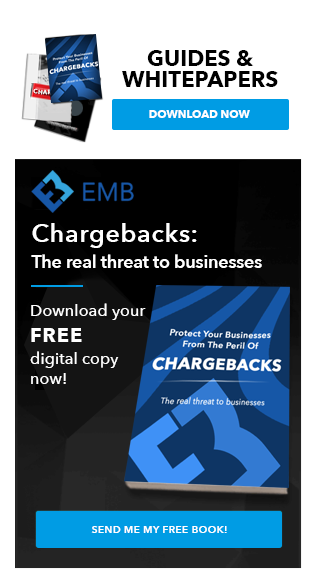 A quick way to cut chargebacks by 25% is to use a mitigation program, like the one offered by EMB. 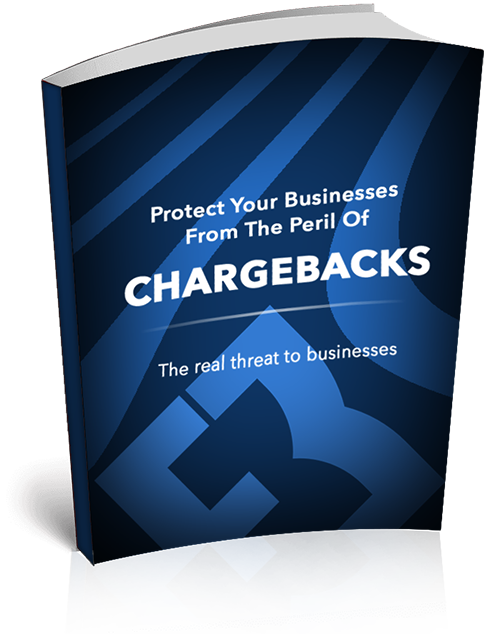 Using the program, a merchant can prevent three out of every 12 potential chargebacks. EMB’s program is ideal for all merchants, including high-risk businesses. EMB partnered with Verifi and its new Cardholder Dispute Resolution Network (CDRN) and Ethoca’s alert system to create a system that really works. What’s unique about the program is that CDRN works with card issuers and banks, which allows businesses to resolve credit card transaction disputes directly. Implementing the system allows merchants to achieve the highest rates of chargeback resolutions in the most efficient ways. EMB not only provides chargeback mitigation tools and fraud protection, it prides itself on making the merchant account process simple. After filling out EMB’s quick online application, merchants need to provide some standard paperwork to underwriters and processors for review. An approval can never be guaranteed, but EMB does promise a fast, streamlined application process. In addition, EMB works with new and existing businesses, merchants rejected or terminated by another credit processor, as well as those with bad or no credit or a history of excessive chargebacks. Eligible merchants can get approved in 24 to 48 hours and then, also have access to EMB’s chargeback mitigation system, as well as its other personalized merchant account services. Chargebacks amount to nearly $1 Million dollars annually. That’s money that’s coming out of the merchant’s pockets. Whether you realize it or not, chargebacks are hurting your business’ revenue stream, absorbing valuable time and effort by you and your employees. Chargebacks can create up to 270% of lost money on a chargeback. This means if your business suffers a $100 chargeback you may wind up paying $270 in fees. We can help you take control, and get back to what’s important in life. With Verifi and Ethoca, EMB has created an alert and prevention system that is practically unmatched by our competitors. Electronic payment processing allows merchants to go global, but there are some caveats. One of the risks is chargebacks. EMB has partnered with Verifi and their new Cardholder Dispute Resolution Network (CDRN), as well as Ethoca’s alert system. By networking with both banks and card issuers, the CDRN is giving merchants direct control over resolving credit transaction disputes. By offering our merchants both chargeback resolution networks, they can achieve the highest rate of chargeback resolution. Let our experience help you. Give us a call, or email us, and we’ll get in touch with you to provide more info. Don’t be afraid to contact us, anytime day or night; we love to hear from our customers, and we love getting them pointed in the right direction.